Hygienic & Bacteria free, Removes bad smells, Removes dirt, stains and grease, Consumes less water, Safe and eco – friendly technology, Efficient and professional, Eliminates waste – water, Reduces use of chemical, Avoids wetting parking space / washes without wetting your parking, Reduces the time. 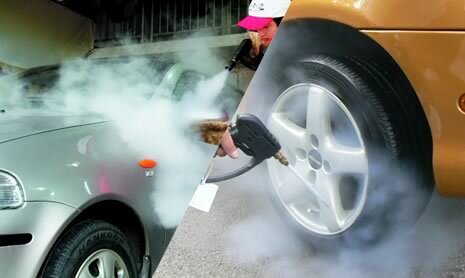 It’s a process where steam vapor is used to clean a car’s exterior and interior. Steam is an effective application in the car wash industry. We are leading the way by introducing the steam cleaning service specifically for washing cars.